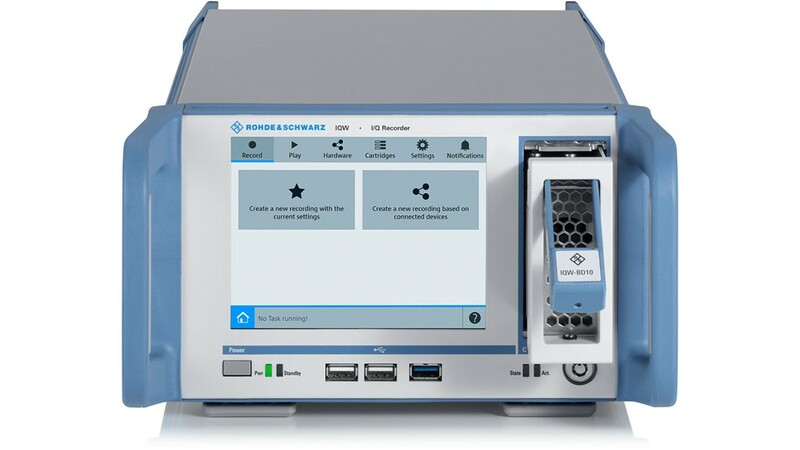 The new R&S IQW provides excellent performance while ensuring easy operation. High resolution allows tests under real world conditions. With the R&S-BD106 option you will get a server grade SSD with 6.4Tbyte. This SSD is supporting the recording and replay process up to 512MHz. 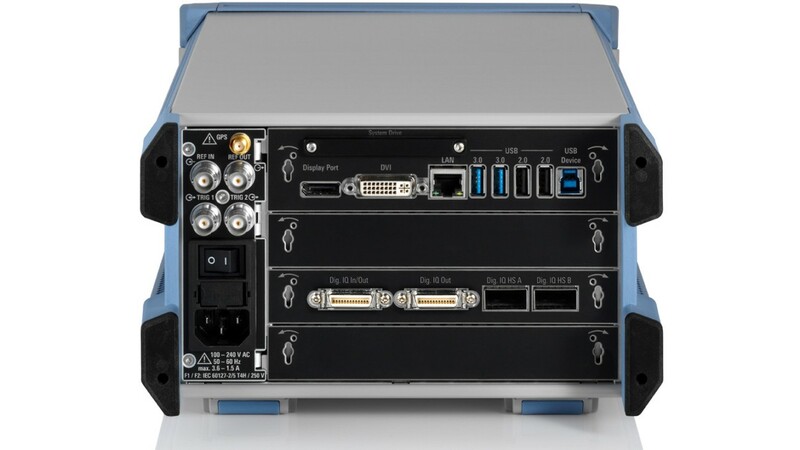 When using the maximum bandwidth of 512MHz, the IQW reaches around 42 minutes of recording time. 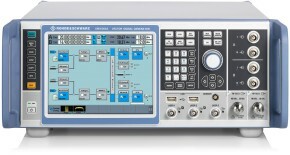 The recording time is increased when reducing the used bandwidth. 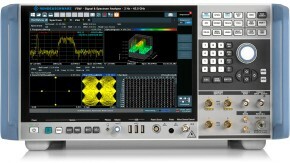 The signal and spectrum analyzer R&S FSW and the signal generator R&S SMW200A are the interfacing instruments to the R&S IQW. For further information on the configuration, please have a look at the R&S IQW data sheet. The R&S IQW provides numorous ports at the the front and rear panel for easy handling and operation. 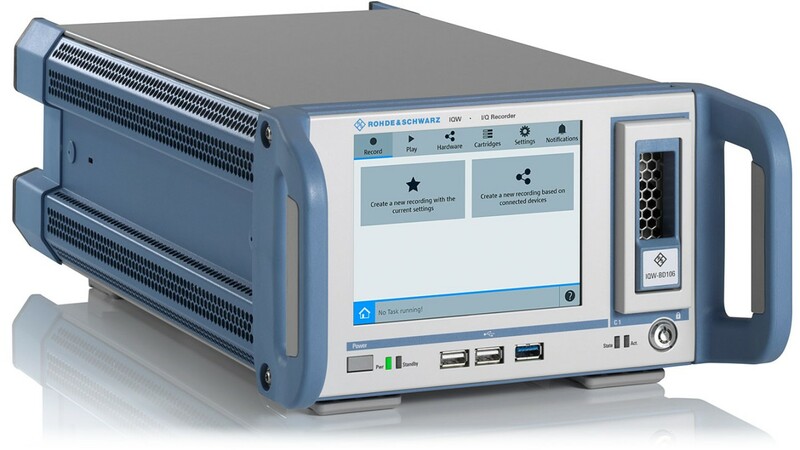 The innovative GUI of the R&S®IQW ensures an easy handling of the recording and replay process. 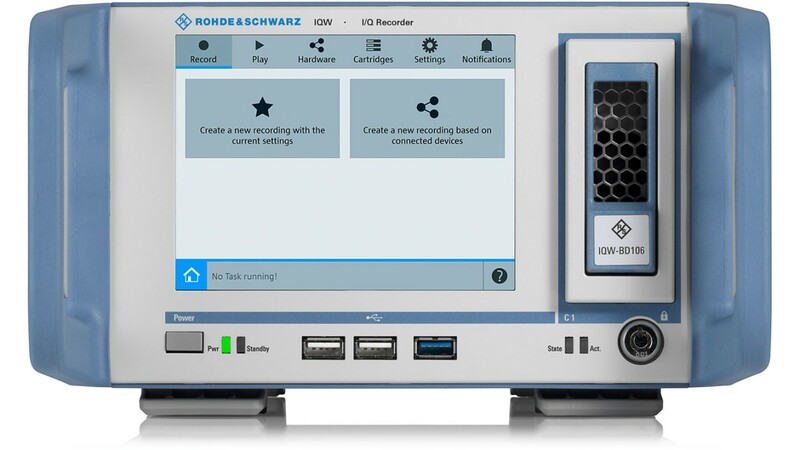 The R&S IQW has a user-optimized and clean GUI that gives a structured overview over the device properties and functionalities. Coming from a user perspective, the wizard is guiding you step-by-step through the recording and replaying process. 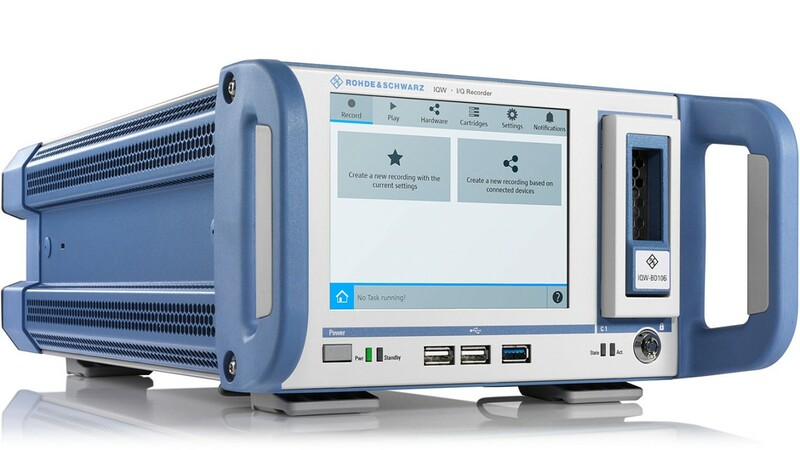 This allows the user a fast, easy and intuitive operation of the device.